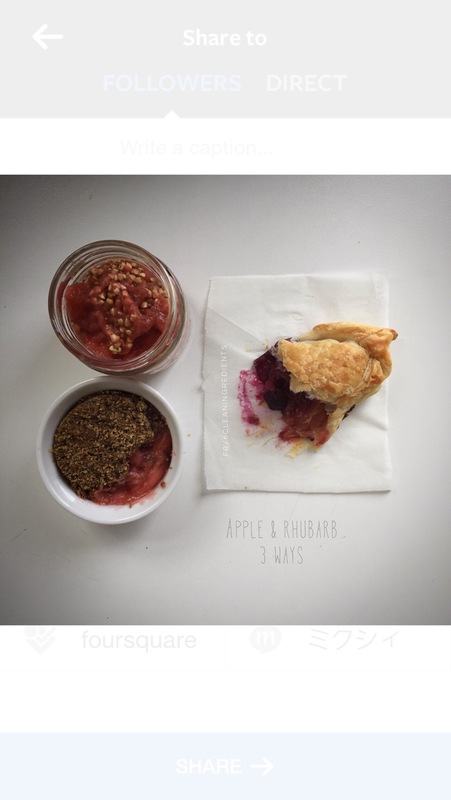 Apple & rhubarb is one of my favourite flavour combinations. I simply stew it & then serve however greedy I am feeling on the day. 1. overnight Bircher buckwheat – it’s delicious when the buckwheat softens up & can be served with a generous dollop of yoghurt. 2. 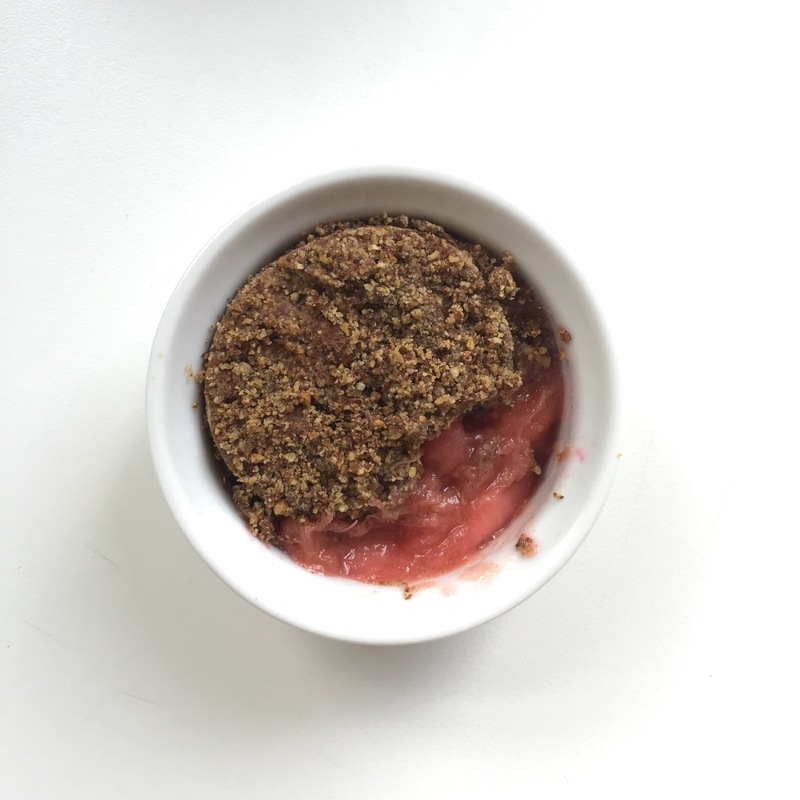 Crumble – how can you go wrong?! Today’s topping was LSA with coconut, coconut oil & Rice Malt syrup. Baked for about 20 minutes at 160 degrees. 3. Pastry – one third of a sheet of puff pastry, I also added in some blueberries which was a huge success as far as my tummy was concerned. 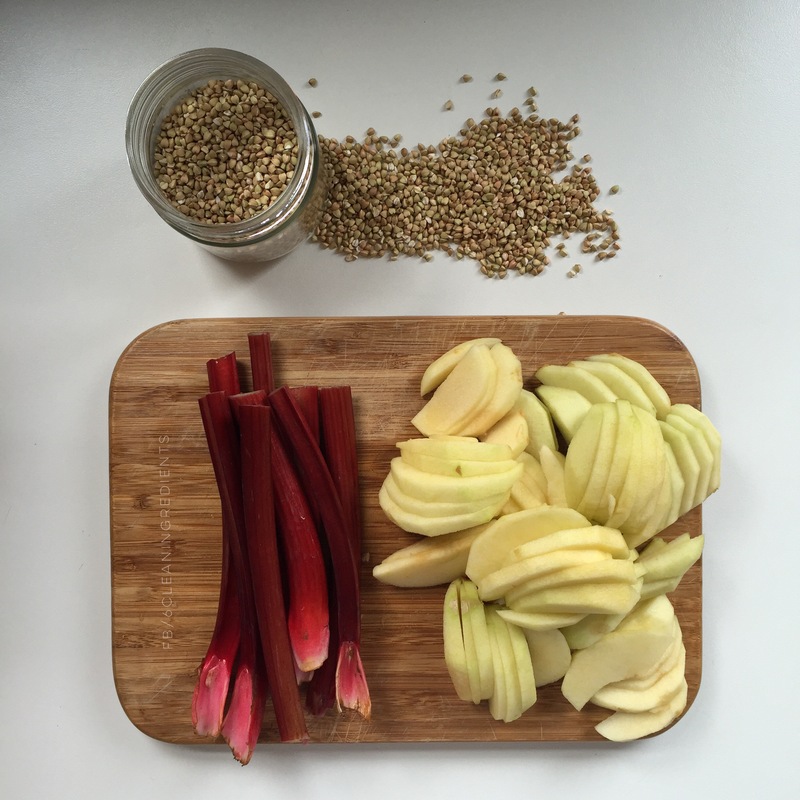 8 pieces of rhubarb, approx 15 cm long, cut into pieces about 3-4 cm. Put in a pot on a low heat. Simmer for about 40 minutes. No liquid is needed. 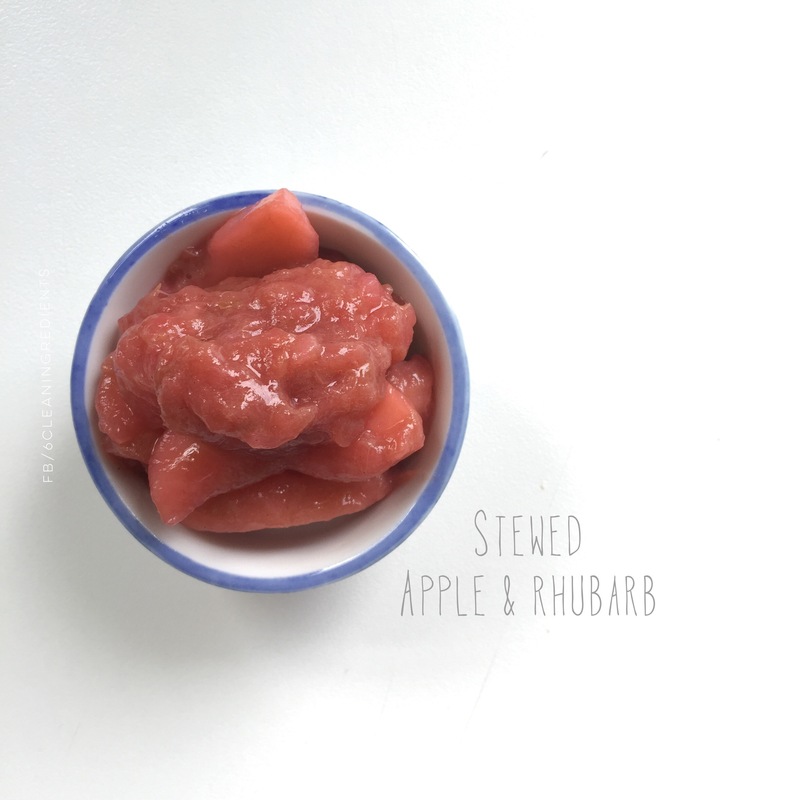 This entry was posted in Recipe, Uncategorized and tagged Apple, dairyfree, fructose, glutenfree, paleo, rhubarb, vegan by 6 Clean Ingredients. Bookmark the permalink.